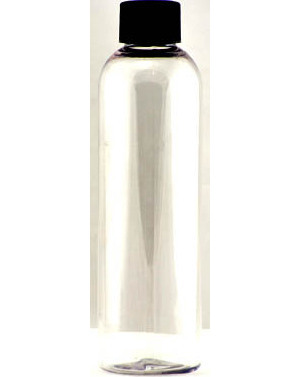 A clear plastic 4oz. bottle with black screw on cap. 5 1/2" x 1 1/2".